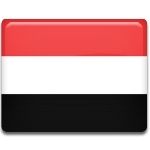 The territory of South Yemen became a British protectorate in 1869. It was known as the Aden Protectorate. North Yemen was part of the Ottoman Empire at the time. After the First World War, North Yemen gained independence, whereas South Yemen remained under British control. The rise of Arab nationalism in the 1960s prompted South Yemeni nationalists groups to begin fighting for independence. On October 14, 1963, the National Liberation Front and the Front for the Liberation of Occupied South Yemen began an armed struggle against British control over the region. It is known as the Aden Emergency. The insurgency lasted for four years. On November 30, 1967, South Yemen finally gained independence from the United Kingdom as the People's Republic of South Yemen. When North Yemen and South Yemen were unified and became a single state, the Republic of Yemen, October 14 was designated as a public holiday. Liberation Day is marked with official speeches, rallies, and parades held throughout the country.